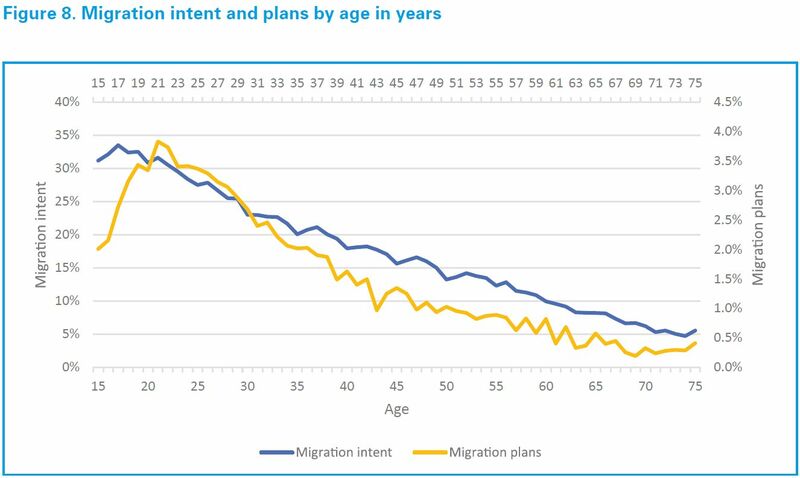 (30 January 2019) Young, single males with secondary education or higher have the strongest intention to migrate and to take measures to plan for it, according to a poll on drivers of migration decisions among children and young people. The UNICEF Innocenti Working Paper titled: “Child Related Concerns and Migration Decisions: Evidence from the Gallup World Poll,” reveals new insights on the drivers of migration, with important implications for policymaking. The new evidence supports the hypothesis that child-related concerns are potential drivers of migration and could represent a major new starting point for further analysis on the role of youth, the condition of children’s wellbeing and other child-related factors in decisions to migrate. The study analyses data from the Gallup World Poll, representing 98 per cent of the world’s adult population (over 15 years old). The data focuses on the condition of children in their home country and on the presence of youth within the households. Data was collected from more than 150 countries between the years 2006 and 2016. The study is the first attempt to quantify the extent to which child-related concerns influence migration intentions and plans. The Gallup World Poll data allow researchers to monitor migration trends, as well as to describe and identify common features characterizing potential migrants (age, gender, education, income level and marital status). 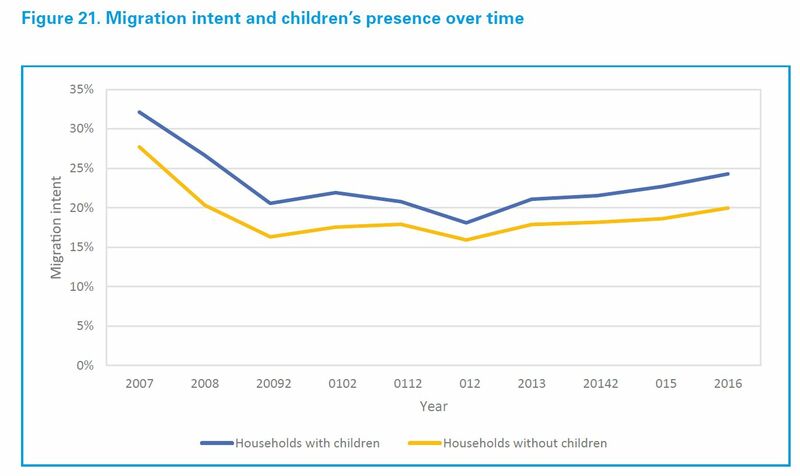 How many children under 15 years of age are now living in your household? Do you believe that children in [country] are treated with respect and dignity? Do most children in [country] have the opportunity to learn and grow every day? Since the Gallup World Poll interviewed individuals aged 15 years and older, researchers were able to analyse migration phenomena of adults and youth directly. 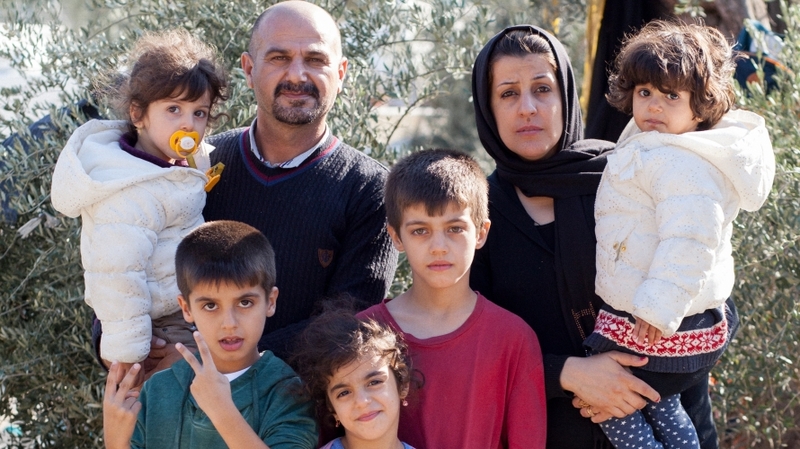 The Gallup Poll also identifies households with children under 15, allowing for important analysis on the perception of child living standards, leading to key insights on the extent to which child-related concerns were associated with decisions to migrate. Evidence reveals that child-related concerns, worldwide, can be considered likely drivers of migration, alongside factors related to economics, governance and lack of security. Perceived child well-being has been revealed to affect migration intent more than factors like satisfaction with public services or food deprivation. This means that child-related concerns are a primary consideration in migration plans, more important than factors such as satisfaction with public services, economic conditions and confidence in key institutions. 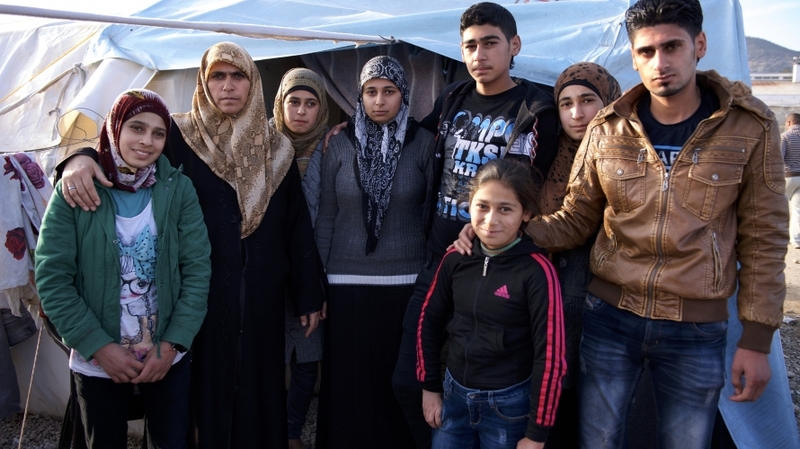 Mohammad Abdullah-Shariff and his wife, Shirin Aziz-Amah, with their five children, at the Moria reception centre for refugees and migrants on the island of Lesbos, Greece. Regional variances in income levels also play a critical role. Households in upper-middle-income countries devote greater importance to children’s well-being than households in other income ranges (in both migration intent and plans). In addition, child-related issues in high-income countries lose their importance, but remain statistically significant, in favor of other factors, traditionally considered as drivers of migration and affecting migration intent.